Dogs don’t come pre-programmed with a human rule book. Reward-based training can help your dog learn that all good things come to dogs who wait calmly for them. Look forward to living with a calm, controlled dog! If your dog could use some self control, choose the impulse control program that best suits your lifestyle. Outta control dog? If you’ve got a barking, jumping, counter-surfing, food stealing, door dashing whirling dervish on your hands, our impulse control programs are the fix. Doggie energy is great, but un-channeled it can be a bit overwhelming. Living with a dog who has trouble controlling her whims? Perhaps he’s a barker, shouting at you for attention, food, and walkies. Or maybe he’s a jumper, jumping on you and the family for attention, jumping on visitors and strangers to say hello. Or is he dashing—flying past you to be the first to get outside or jump out of the car or step off the curb. Or perhaps a counter surfer? Did the sandwich you made for lunch just disappear from the table? Whatever impulse control issues you’re struggling with, we’ll help you replace these undesirable behaviors with calm focus and acceptable behaviors. Your dog will learn new ways to politely ask for what he wants—and how to wait for it, too. Our trainer will train your dog for you in your home and out and about where you need him to be on his best calm behavior. We’ll do the training so you have more time to focus on all the other tasks on your to-do list. Watch us train your dog, participate in training or work on your task list. 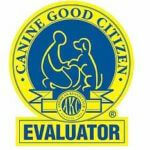 We’ll meet with you once a week to transfer the training results and give you tools to maintain your dog’s behavior. Sometimes you need a fast track to relief and results. Board & Train is that ticket. Your dog comes to stay with our loving, certified professional trainer. Learning in a home environment means a faster, easier transfer of results when it’s time for your dog to come home. We’ll customize training to your needs, goals, and lifestyle to maximize success. Having trouble deciding between group classes and private training? You don’t have to. With our Combo pack you can have the benefits of both. What’s with all the energy? Dogs are simple creatures. We humans have all sorts of emotional motivations behind our behavior. Dogs just do what works. If you feed them or throw the ball when they bark at you, they bark more often. If you pay them attention when they jump on you, they’ll jump more often. It’s really that simple. One of the secret tricks behind training is learning to control a dog’s coveted resources—food, toys, walkies, attention, etc.—and only provide access when a dog is doing something you like. If you “pay” a dog for unwanted behavior, even accidentally, you get more unwanted behavior—and then you have to un-train it. Impulse control issues are often exacerbated by a lack of regular, vigorous exercise. Exercise won’t cure all, but our clients are always amazed by what a difference it can make. If you’re looking for more chill time from your dog, add more mental & physical exercise. If your schedule doesn’t allow for regular canine exercise time, consider hiring a professional dog walker and use interactive food dispensing toys to get the job done for you. The peace at home will be worth every penny.